NASHVILLE, Tenn. (WTVF) — Nashville's District Attorney General Glenn Funk will reopen a murder case, saying the man initially convicted may be innocent. 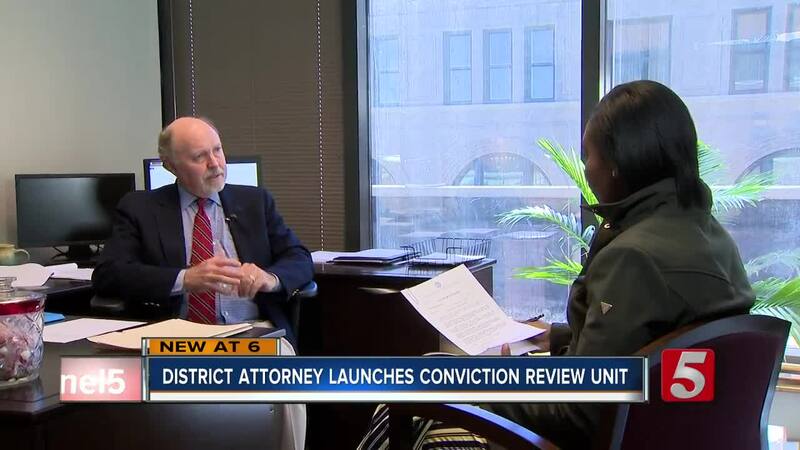 Officials announced Friday that the Conviction Review Unit will conduct an investigation into the case of State of Tennessee vs. Joseph Webster. Webster was convicted of killing Leroy Owens in 1998. Webster was arrested in 2005 and has been behind bars since his conviction. However, after new testing, Webster's DNA was not found on the murder weapon. The only witness in the case allegedly changed her story several times. The Conviction Review Unit will provide a report to Funk, who will then determine whether clear and convincing evidence of actual innocence exists. I applaud the District Attorney’s office for deciding to reinvestigate the case against Joseph Webster, which has utterly collapsed. Mr. Webster looks forward to a thorough investigation of this matter, which he is confident will prove his consistent and unwavering claim of innocence.